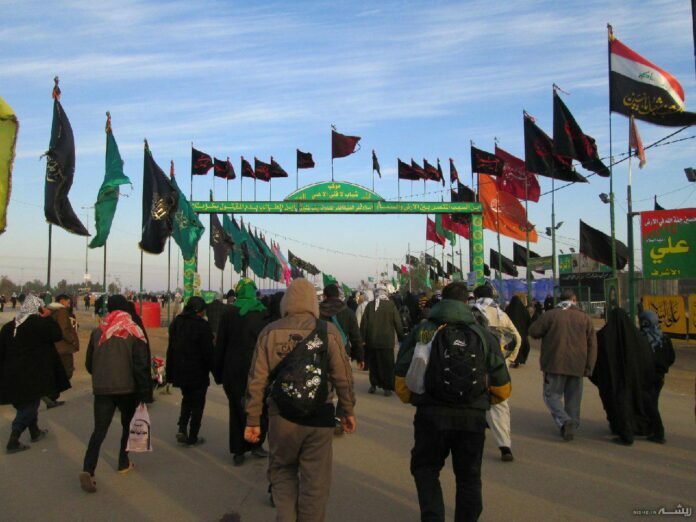 The Iraqi officials have announced the country has managed to earn $80 million by hosting millions of Shiite pilgrims on the occasion of the Arba’een procession, which marks the 40th day after the martyrdom anniversary of Imam Hussein, a grandson of Prophet Muhammad. The head of the Iraqi General Authority for Border Ports, Kazim al-Aqabi, told a press conference on Monday that the visa fee for each pilgrim is $40, and that has generated $80 million for the government. This Iraqi official stated that the police, security forces and other institutions are involved in providing security. The Iraqi forces have taken tight security measures on the paths leading to Karbala to prevent any possible attack by the ISIS and other terrorist groups. Shiites, Sunnis, and people of other faiths from across the world have been on a spiritual journey to the Iraqi city of Karbala since almost three weeks ago. Many of them are from Iran going on foot to the holy Shrine of third Shiite Imam, Hussein ibn Ali, in Karbala. Over two million Iranians have so far entered the Iraqi territory for this year’s Arba’een. Many people, mainly Iranians and Iraqis, are doing volunteer work along the routes to Karbala. They offer everything from drinking water, meals, and shoe polishing service to the pilgrims free of charge.